Add ample storage and style to your bedroom suite with our handmade Oasis Panel Storage Bed! 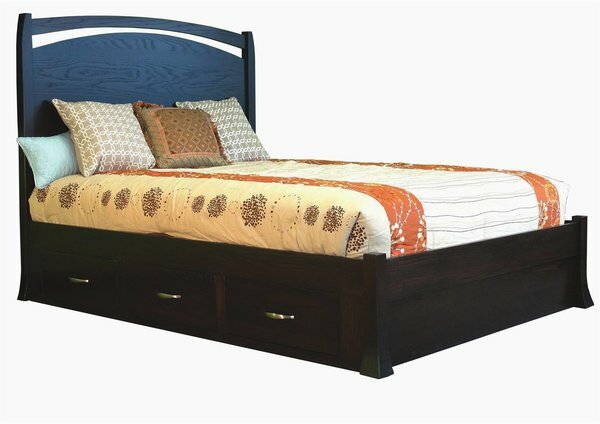 This heirloom quality bed comes standard with six under bed drawers for storage of all your clothes, shoes, umbrellas, books and other items! Choose to have your new bedroom centerpiece constructed to be used with or without a box spring in your choice of solid wood and finish! There are many custom options available to you - we want to make sure that you get the solid wood Amish bed of your dreams! Give us a call today for more information on our Amish bedroom furniture or for answers on your questions about this heirloom quality bed! The standard construction of this bed requires a mattress only.